The Plymouth manufacturing plant is a proud member of the Plymouth community. We take pleasure in saying we've been manufacturing fasteners at this location for over 50 years! Conveniently located in southeastern Michigan, the heart of the automotive world. We are intensely aware of all that is happening in the global automotive industry. The Plymouth facility offers cold heading, thread rolling, machining and assembly capabilities. It is our corporate headquarters and home to our tooling center and engineering services group. "World Class Caliper Pin Manufacturing" This was the concept behind the opening of this plant in 1999. Located in EastPoint Business Center, the Louisville plant has effectively realized its charter, putting into practice manufacturing concepts such as Toyota Production System, lean manufacturing, Kanban, Poka Yoke and Kaizen activities. 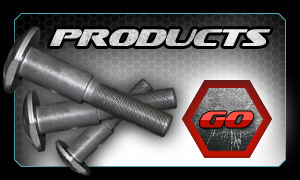 The Louisville plant has become a "benchmark" supplier of brake related automotive fasteners. Louisville is equipped to support your cold heading, machining, thread rolling, and inspecting needs. 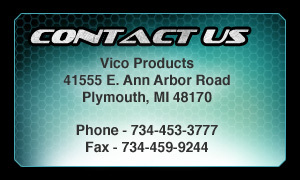 "Expansion into Mexico" Welcome to the newest facility in the Vico family! As a response to the multiplying customer base in Mexico, Vico has committed to follow. The initial services in Mexico will include part distribution, inspection services, push rod assembly and local support of our product. Long term goals include the manufacturing of fasteners at this location. If your needs call for support in Mexico, we now have you covered!